Cozy apartment with sea views. Located in the Montañar II, among Calablanca and Arenal. 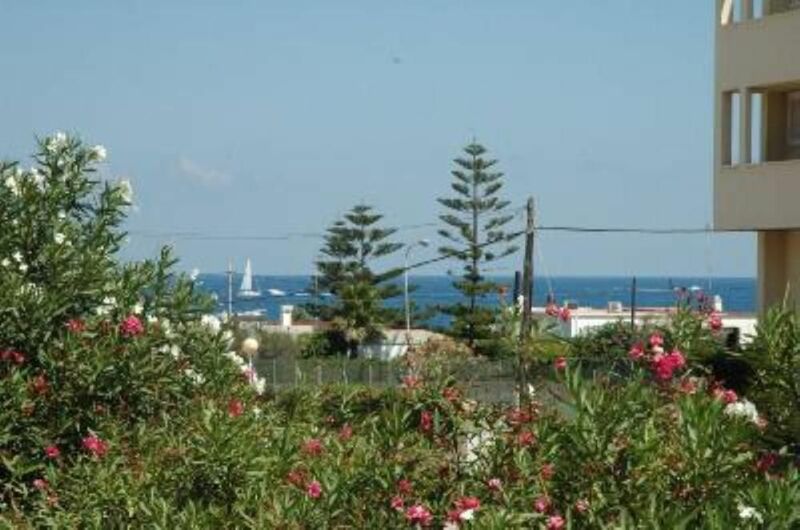 Very quiet, carefully decorated, completely renovated, less than 100 meters from the sea. It has three bedrooms, two of them with beds of 135 and one with a bed of 90. Two wardrobes, linen and towels for the house included. Parking included in the building grounds. It looks as if it pleases Mister and his wife, to equip the apartment in a way that it has to impress the tenants and to make them feel at home. We rented the apartment during the month of October and we were amazed that an apartment, to be rented for holidays, so well and complete was equipped. Especial the quality of the linen, crockery and the cutlery was not only perfect but also complete. Wishes of the tenants were, if possible, solved by Mister F.
For instance: We would like to watch Dutch television and action was taken. The environment is clean and quit. "Das Apartement war so wie beschrieben. Leider war es kalt und nur im Wohnzimmer stand eine mobile Elektroheizung und im Schlafzimmer ist eine Elektroheizung an der Wand montiert, die aber kaum in der Lage war das Zimmer richtig aufzuheizen. Das Doppelbett im Schlafzimmer ist sehr schmal und kurz (ich bin 188 cm groß und das Bett leider nur 190 cm lang). Wir haben uns aber sehr wohl gefühlt dort." "El piso se ajusta perfectamente a lo indicado en la oferta: limpio, aireado, poco ruidoso, con vistas al mar, y muy bien equipado, sobretodo la cocina." les propriétaires sont très sympathique ,disponible. L'appartement est avec un équipement complet et plus , car tout est fait pour le confort du vacanciers. Des petits plus comme savons et nappes repassées et des fonds de placard pour éviter de courir au supermarché en arrivant après 1200 km de voyage. Nous ne regrettons pas du tout notre séjour en hiver et recommandons cette location"
"Muy tranquilo y agradable. Acogedor. Excelente decoración. Relación calidad/precio muy favorable." AP7 motorway take exit 62 (Ondara / Denia / Xavia) or exit 63 (Benissa / Calpe) and go to Javea (Xabia). Locate beach 'Arenal' and from there take the Avenida de Ultramar. At number 48 is the intersection with the street Thessaloniki. Walking and hiking, diving, water sports, dinners and meals at local restaurants.